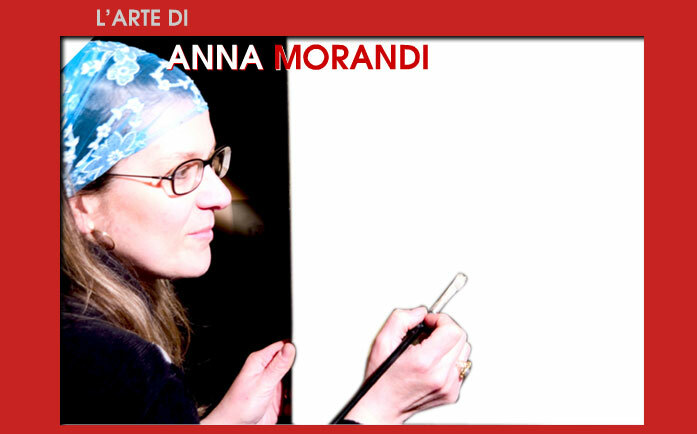 Anna Morandi was born in Poggibonsi, Siena 1966. Self-taught, her approach to painting began to wards the end of the 1980’s luhile working for a company making artistic statues, luhere she discovered her talent for painting and colour. She started by copying famous artists, studying light, depth, and harmony. At the start of the 90’S in collaboration luith various Florentine artists she worked on a series of copies from the Flemish school, axhieving self confidence that enables her to emerge herself in the difficulty of creating. Her art finds its home in the followers of Breton, in surrealism. She loves in equal measure Dali’ an Magritte, personalizing her work with feminine sensitivity. After ten years of surrealist painting she understands that the expressive shape used with infinite care and patience is a difficult medium for society today. After month of study and interior struggle she puts her self under discussion. Trying to impart her message to a larger public using a medium more easily comprehensible. Resulting in Anna Morandi completely different and all together more direct. She’s exhibited in many personal and collective exhibitions in Italy and abroad luith positive reviews. She organizes her own exhibitions. She is interested in pure artistic expression ignoring trends. She wishes to express her self as she started, from self-taught.